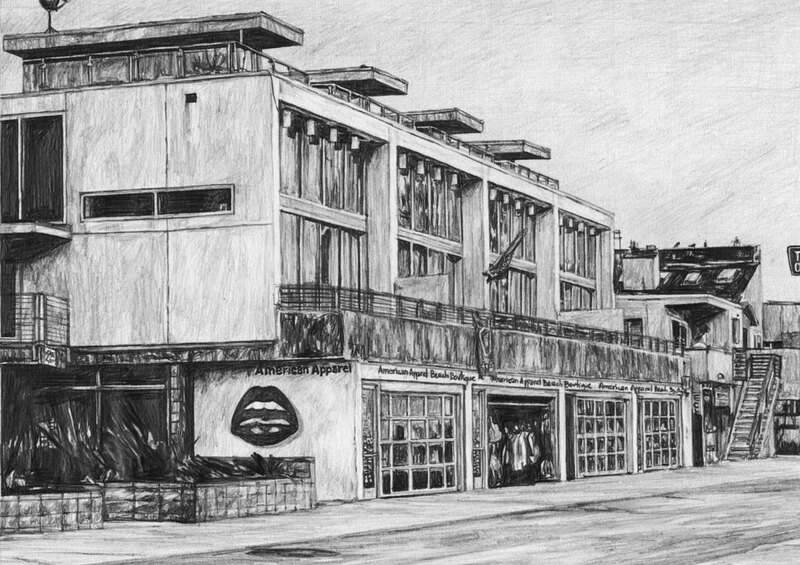 Original drawings are graphite on basic A4 paper, then scanned and enlarged up to 50 x 70 cm. 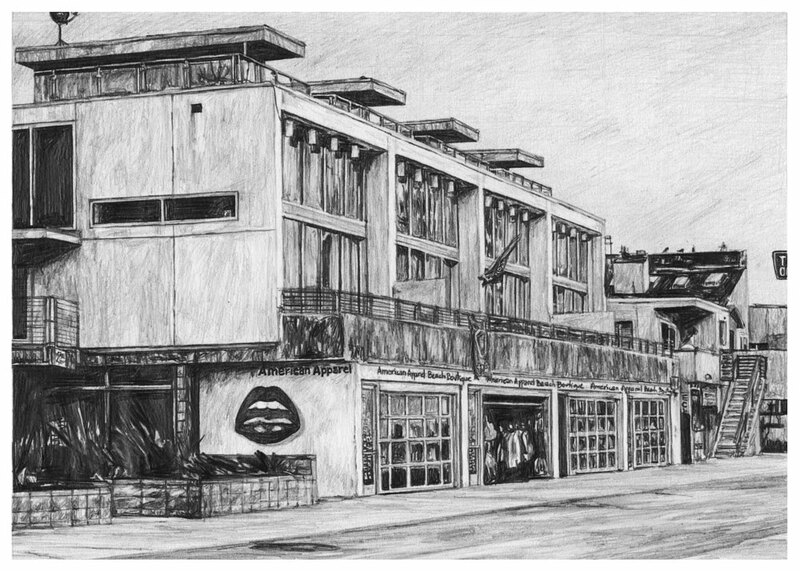 in a b&w toner print. 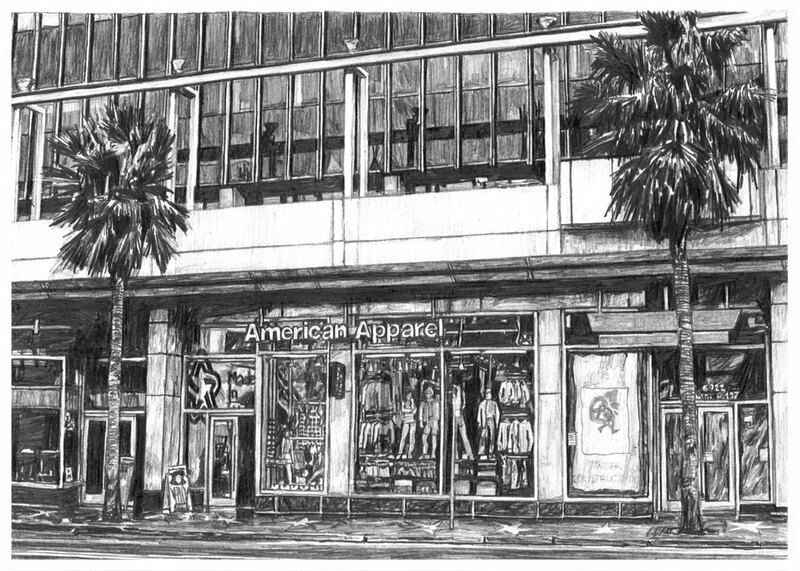 Series of drawings featuring all the American Apparel stores that there are in the city of Los Angeles. 1. 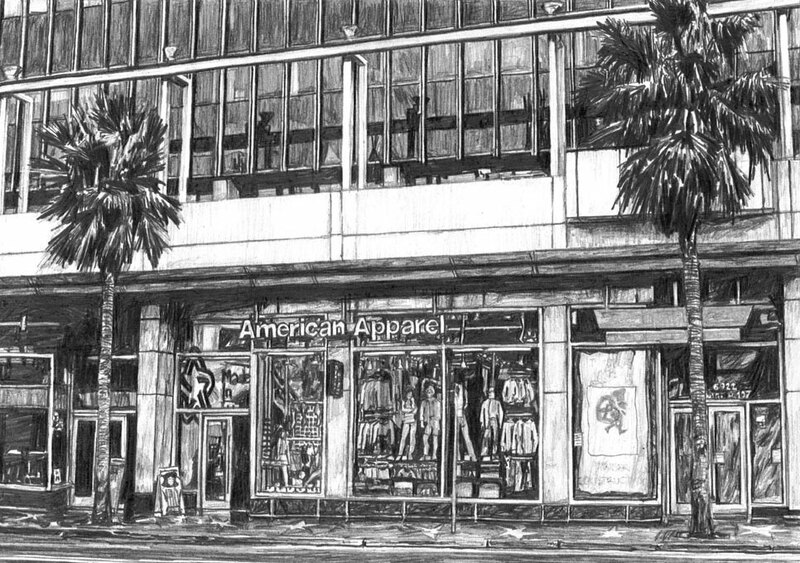 American Apparel 3. 2014. Poster. 50 x 70 cm. B&W toner print on basic paper. 2. 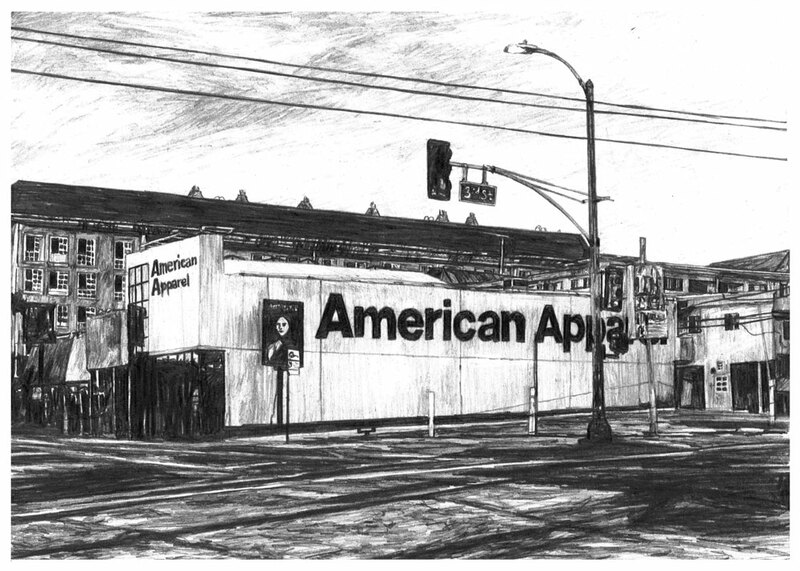 American Apparel 2. 2014. Poster. 50 x 70 cm. B&W toner print on basic paper. 3. 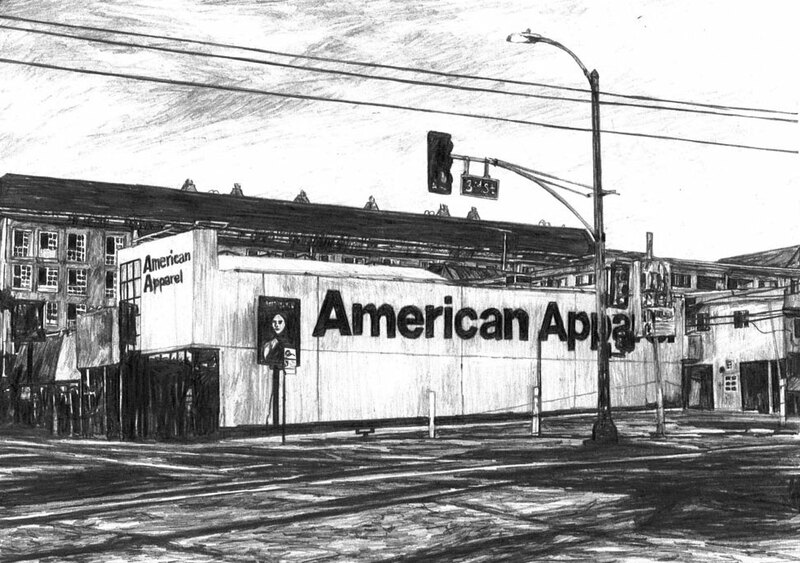 American Apparel 1. 2014. Poster. 50 x 70 cm. B&W toner print on basic paper.